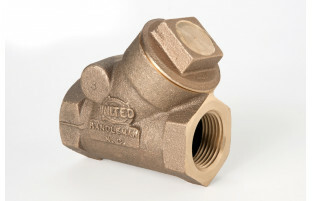 Model 62 Swing Check Valve - United Brass Works, Inc. Install in horizontal position with cap in upright position. Not recommended for pulsating or vibrating service. 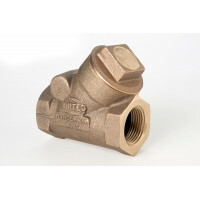 When used on Boiler feed line it is recommended that a #50T spring loaded check valve be used in conjunction with #62 with the #62 located nearest to the boiler and the #50T located nearest to the pump. Model 62 - 1 1/4"
Model 62 - 1 1/2"